This is a photo of Grand Center, specifically looking south at the intersection of Grand and Delmar Boulevards in 1944. Local preservationist should smile at this photo, as all of the buildings in this frame are still standing today. The large “St. 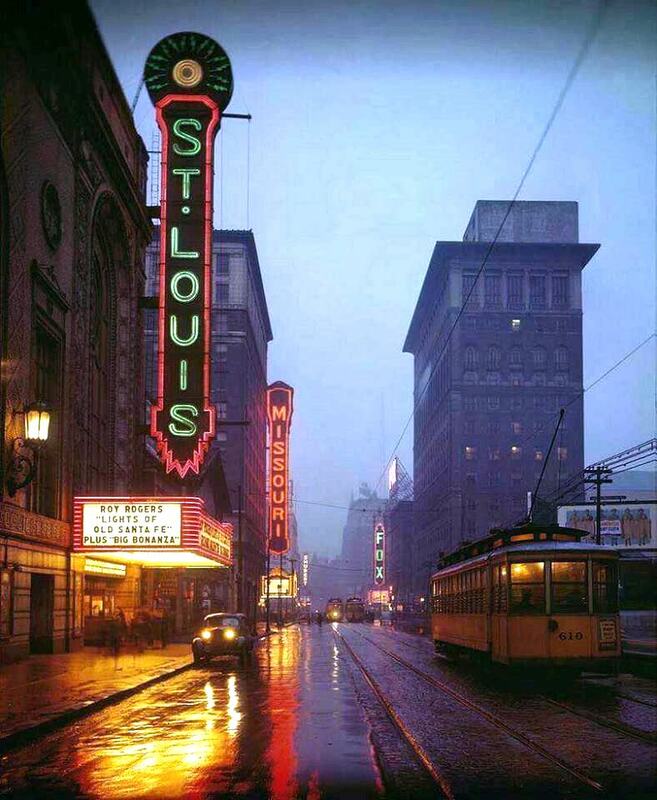 Louis” marquee showcases the St. Louis Theater, which was erected in 1925. The building, now known as Powell Symphony Hall, was acquired by the St. Louis Symphony Society in 1966. Have a great weekend St. Louis! That’s a great photograph – except for the street cars/vehicles, looks almost the same now as then. Grand at Delmar, 1944. Perservation for the win! And you’re correct! On Grand looking south from in front of what is now Powell Hall – year 1944.